Are you sabotaging your diet? Dieters get a lot of advice on how they can best shed pounds. Unfortunately, some of the weight-loss tips that make sense on the surface might actually hurt your efforts. In some cases, the very thing you're doing to try to lose weight could contribute to your gaining weight. Yikes! Keep scrolling to learn about some surprising ways you may be sabotaging your diet. 1. YOU AVOID ANYTHING WITH FAT. Fat may be high in calories. But it's a necessary nutrient. If you cut all the fat out of your diet, you probably won't feel satisfied and may overeat later on. Plus, some fats improve your health and may even help you slim down. Try this instead: Choose unsaturated fats like fish, nuts, seeds, avocados and olive oil. Replace whole-fat cheese or milk with lower-fat versions. Use olive oil instead of butter in cooking. 2. YOU'VE VOWED TO GIVE UP YOUR FAVORITE FOODS. You don't have to ban all your favorite foods from touching your lips—not even ice cream. It's OK to make small amounts of your fave high-calorie foods part of your overall weight-loss plan. Try this instead: Keep track of your daily calories in a food journal. Just don't forget the basic rule of weight loss: You have to burn more calories than you take in. That's why exercise is a much-needed partner in weight control. 3. YOU'VE TAKEN GRAIN PRODUCTS, LIKE BREAD, PASTA AND RICE, OFF THE MENU. Grains aren't necessarily fattening. Whole grains, in particular, are healthy and can help you feel fuller faster. Try this instead: Make the switch from refined to whole grains—such as brown rice, whole-wheat bread and whole-wheat pasta. 4. YOU'VE ADOPTED A VERY LOW-CALORIE DIET TO LOSE WEIGHT FASTER. Yes, you can lose weight rapidly on a very low-cal diet. But you'll probably gain it back. And you may be cheating your body out of important nutrients. Try this instead: Your weight-loss program should be a lifestyle change—something you can see yourself doing for the rest of your life. Slow, steady weight loss is more likely to last than a rapid drop. 5. YOUR DIET FOCUSES ON—OR ELIMINATES—CERTAIN FOODS. Diets based on unlimited amounts of specific foods—like grapefruit—get boring fast. And a diet that forbids food groups—like carbohydrates—might miss some crucial nutrients. 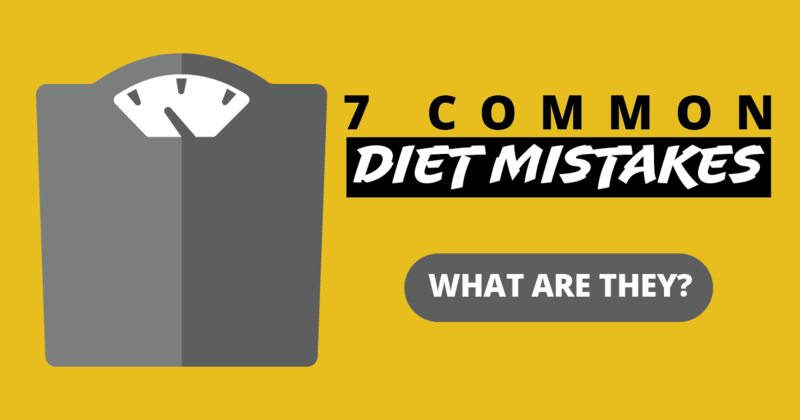 Try this instead: Again, these diets don't pass the "lifestyle change" test. You should be able to enjoy a variety of nutritious foods in reasonable proportions. If you skip meals, you risk feeling like you're starving. So when you finally do have a meal, you overeat. Try this instead: Spread your calorie intake throughout the day. You might even try eating several small meals every day to limit how much you eat at each sitting. 7. YOU WEIGH YOURSELF ALL THE TIME—OR NEVER. Some people avoid the scale. But using it as a tool to regularly monitor your weight can help you maintain weight loss better over time. Try this instead: Your weight fluctuates throughout the day, so constant monitoring may only prove discouraging. Try weighing yourself once a day, first thing in the morning. Or even just once a week. Learn more about healthy ways to lose weight by visiting our Weight Management topic center. Take me to more weight-loss tips!